Thanks for stopping by! Come on in & grab a mug of fresh coffee. This site was not prepared by any fancy-shmancy web page designer. No Sir, this is just a place to kick back and maybe look back on some of the things I have done in my efforts to enjoy a better cup of coffee than I had the day before. To start enjoying great coffee at home all you really need is a decent hot air popcorn popper. I have learned many ways to convert normal everyday household appliances into coffee roasting machines over the last few years. Clicking on to the links in the other column you can see some of my coffee toys. Living in Kansas forced me to construct a dedicated place to roast indoors. The high winds, bitter cold winters, blistering summer heat and the heavy rains are a lot to deal with. Buying high quality green coffee beans is fairly easy, and there are a number of forums and on line communities filled with friendly people to answer questions you may have. Note: If you left- click on the pictures, a larger picture will load to view. Use your browsers *back* feature to return to this page. I started by recycling some 3/4" plywood shipping crates. They are heavy duty & the perfect size for my needs. 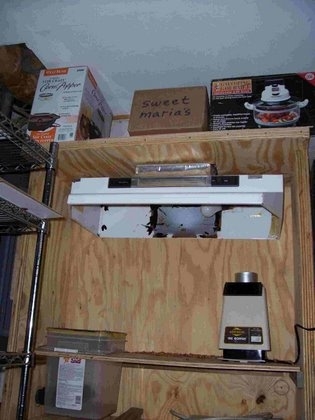 I mounted the range hood vent to the concrete wall, then slid the upper crate into place after removing the top lid. Then I cut out the opening and re-attached the lid. 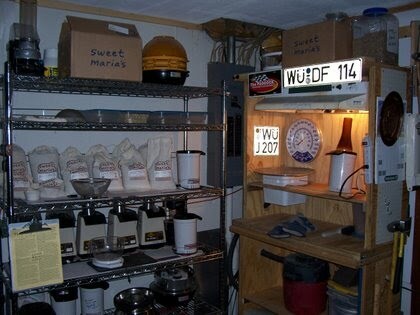 My roasting setup Jun 06. 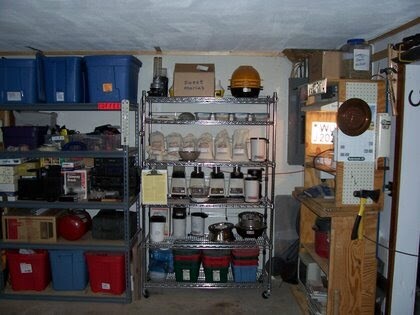 My roasting and brewing gear has taken up a nice sized chunk of real estate in our shop. 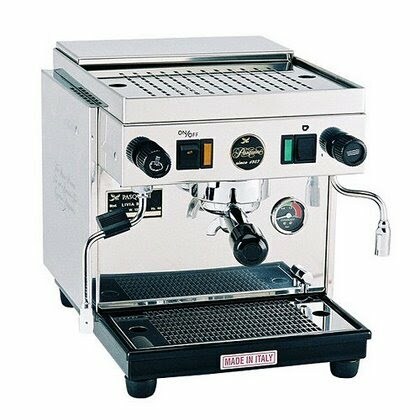 My Army retirement (21 years) gift from my family, a real espresso machine a Pasquini Livia 90S Semi-Automatic model. If you have a coffee related website, and want me to include your link here, just shoot me an email. It's all about the journey.